​The village is named after the dramatic sea-filled gorge north of the village. Gazing down it's hard to grasp how this natural phenomena came to be. Listening to the waves lapping to the side of the gorge, time seems to slow down and stand still. East of the village the tallest mountains of the Faroes are casting their shadows - waiting to be climbed. Ask the information office for directions. North of the village lies the valley of Ambadalur: Home to a rich bird colony. The grass really is greener there. And the birds happier. Which might explain their sometimes hostile behavior when confronting an intruder. Don't forget to look up! Oh, and one more thing: When southerly wind is covering the isles with thick fog, Gjógv usually bathes in sunshine. 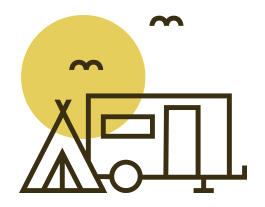 Flatnagarður is open for camping from May 1st to September 1st. The campsite is fenced in and has capacity for 20 caravans and 10 tents. Dogs must be kept on lead at all times. Check in is at Gjáargarður Guesthouse. You will settle a deposit on 250 dkk for the key to the facilities, which will be refunded when you check out by departure. You can check-in from 3:00 p.m. to 9:00 p.m on the day of arrival and must check-out at 2:00 p.m. on the day of departure. We encourage you to buy a map from Gjáargarður Guesthouse, if you want to visit the valley of Ambadalur. 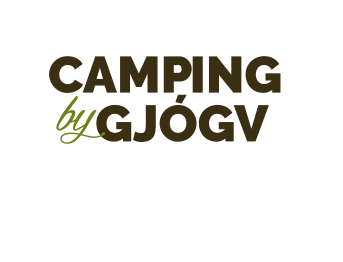 © COPYRIGHT CAMPINGBYGJOGV.COM 2017 ALL RIGHTS RESERVED.